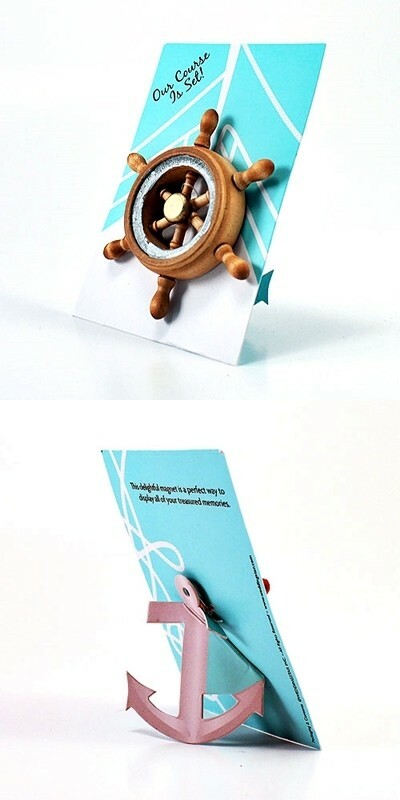 This miniature boat wheel magnet is a fanciful way to promote a nautical-themed celebration, complement a boat theme party or announce an upcoming cruise wedding. These detailed favors are cleverly-packaged on a self-standing, presentation card with anchor-shaped easel back. PLEASE NOTE: Sold as a set of six (6) and prices quoted below are per set.